At Guitar lessons Malta we teach a variety of guitars. 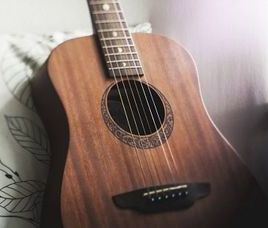 From the Acoustic and classic guitar to the Electric and Ukulele. We don't just teach our students how to play these instruments but also ensure that we deliver the background knowledge and history of each one of them as well as the different styles of music which goes with each. Power chords, power riffs, pedal effects, distortion, and more. This is the heart of Rock & Roll, and you'll learn all of it. 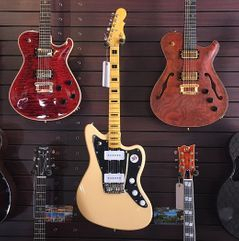 From hammer-ons and pull-offs to advanced bends and the Eddie Van Halen Technique, all the hot electric guitar stuff is here too. You'll learn the musical concepts behind these techniques and discover how to use them in real playing and soloing situations, just like the pros. You'll have a blast and your friends will be blown away by the things you'll be playing with your backing tracks. Is there anything cooler than a hot blues solo? With us, you'll be playing them in no time. You will learn the blues notes, the blues chord progression, how it all works with minor pentatonics (don't worry... it'll make sense when you get there! ), and of course—how to construct a great blues solo. Once again, you'll have a blast jamming along with your backing tracks.